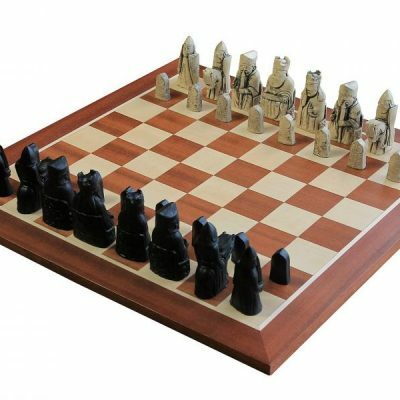 An Ebony border frames the Gambit Chessmen sitting on top of this Deluxe Maple Chessboard. 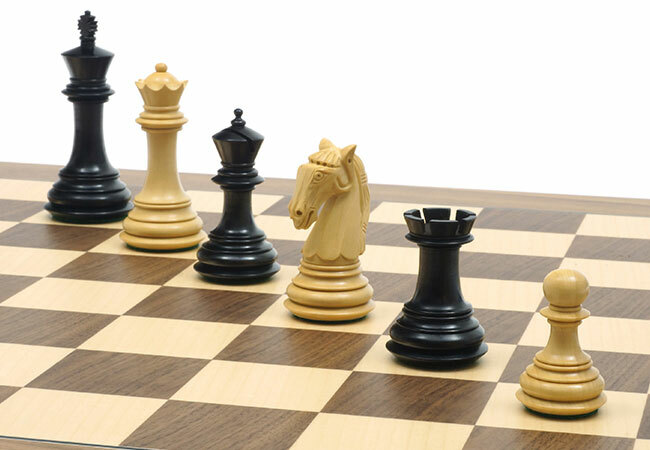 Its thin dark line compliments the rich pieces brilliantly, creating an ornate chess set of the highest order. When the pieces are taken off this Spanish chessboard they sit upon green felt in a solid Sheesham box. 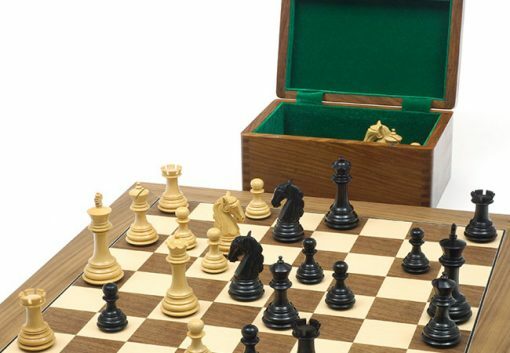 Instead of clasps, the box is held closed with hard-wearing magnets. 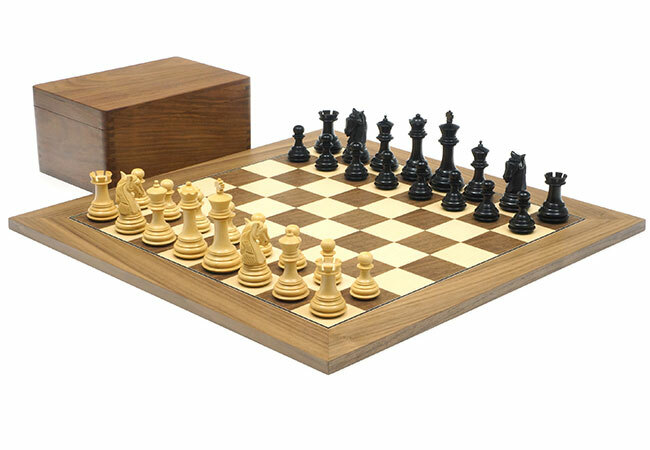 The result is a chess box that will last as long as the solid ebony pieces it holds. 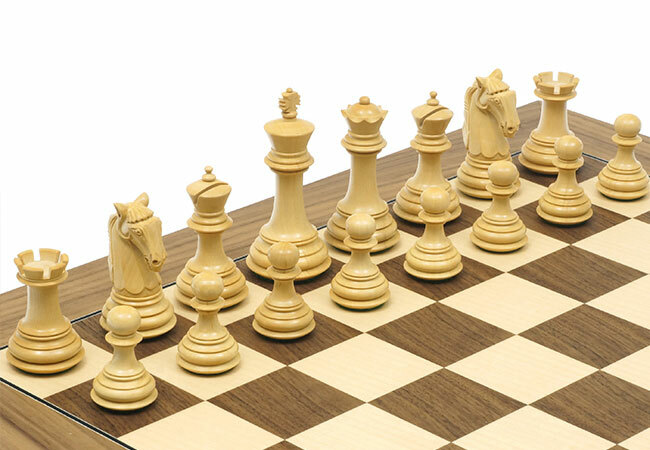 The Gambit Series Chess Pieces in this particular set are hand turned in Amritsar, India, by a team of expert craftsmen. The design is a unique variation on the traditional Staunton, with a robust bishop, nimble knight and flared rook all catching the eye. Even the pawns, boasting excellently turned bases, are ornamental in their design. 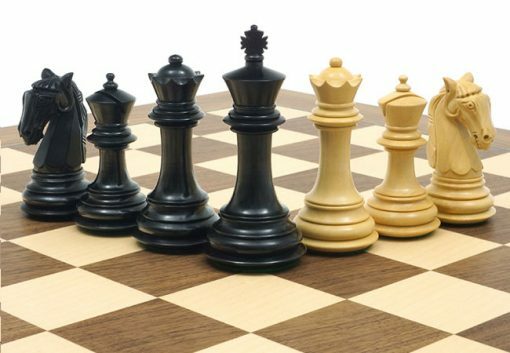 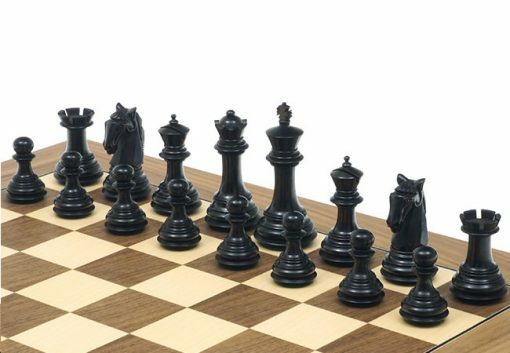 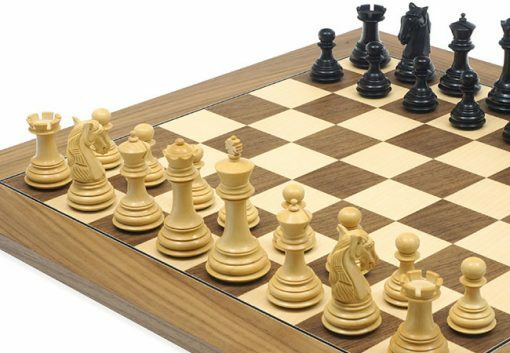 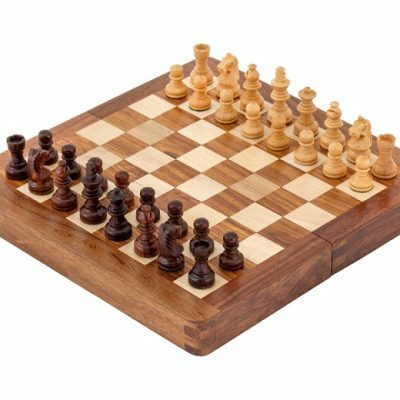 The distinguishing feature of this chess set, despite its beauty, is most certainly the price. 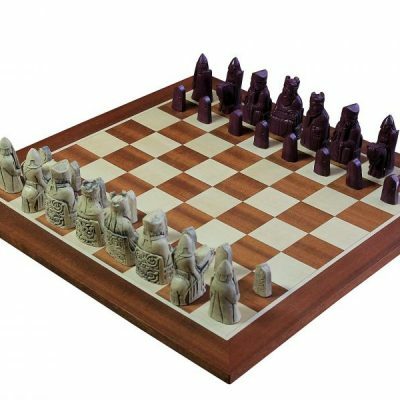 To have such carved detail, plus an outstanding chess board and durable box, is not something that can be expected for less than £200. However with the Gambit Walnut Chess Set we are happy to offer just that.